Roxie was my protector and total alpha of the household. She was always on duty and would have died for me if she had to. She was a one-in-a-lifetime companion. We discovered her lymphoma in June, 2006, and she valiantly fought against it until November, 2006, when she started to slip. She was a champion and produced champions! Roxie running in the front yard of our new house on September 18, 2006! Roxie, Jack, Tyson and Slick running in the far lane of our new house on September 18, 2006! Roxie chewing a rawhide in our new house on July 31, 2006! 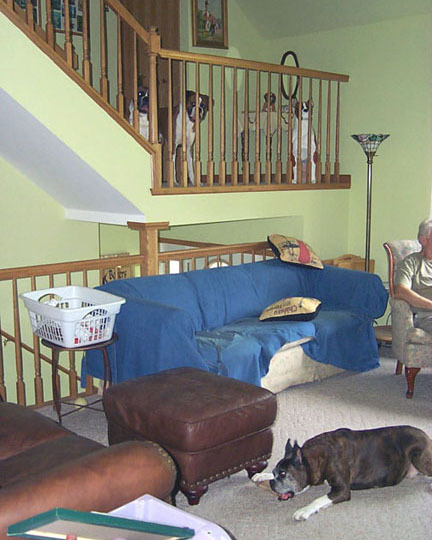 The other dogs are on the stairs going up to the loft. 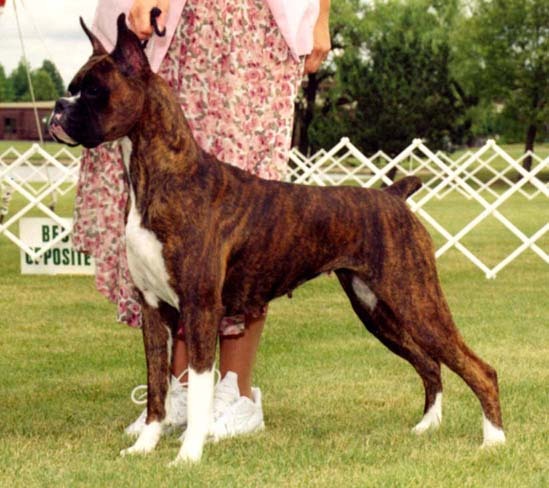 Roxie tossing her rawhide with our boston, Slick, in the foreground on July 31, 2006! Roxie and Slick with Jack in the background on July 31, 2006! Roxie with rawhide, Jack with his ball and Slick hoping someone would drop something on July 31, 2006! 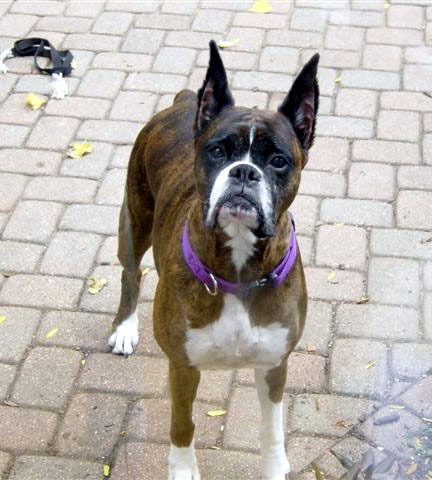 Roxie showing us her rawhide on July 31, 2006! 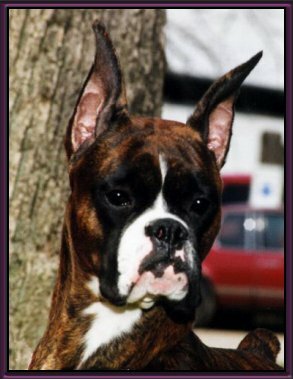 Roxie is pictured above on 10/30/03 at 7.5 yrs. of age still going strong! 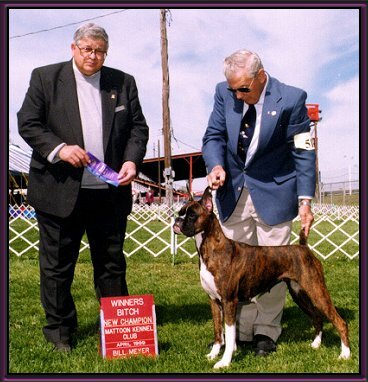 Roxie is pictured above on May 19, 1999 winning WB, BOW, & BOS!